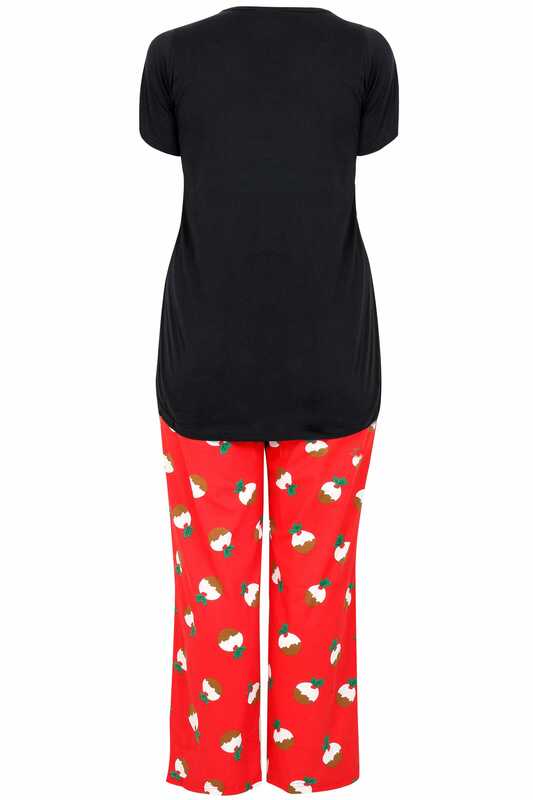 Inside leg length from (approx) 78cm/30.7"
Add a touch of character to your nightwear collection with this super cute pyjama set. 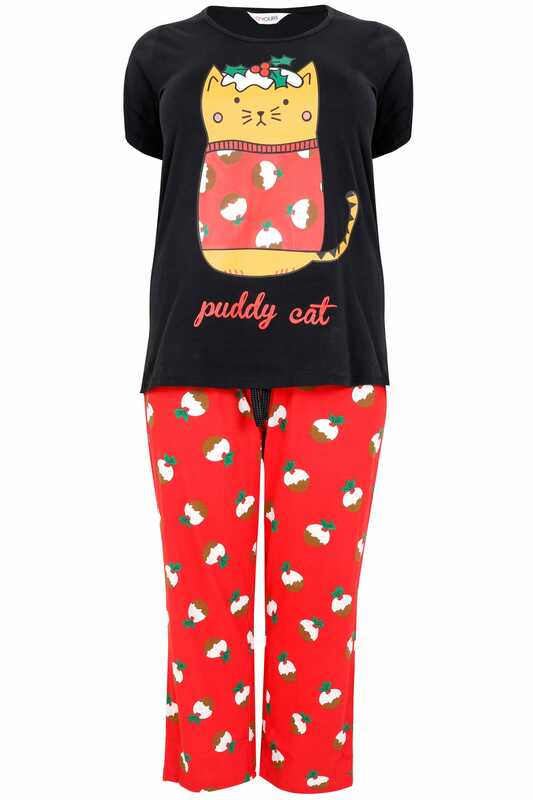 Featuring a 'Puddy Cat' slogan and an all-over Christmas pudding print, their relaxed design is woven from a super-soft fabric for comfort. The perfect set for the festive season!